Editing, storing and recalling your settings is simply a breeze when using the Behringer DDM400 DJ Mixer equipped with beat-synchronized sampler, and effects! 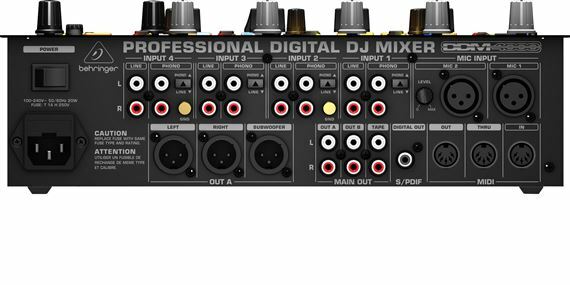 The Behringer DDM4000 5-Channel Digital DJ Mixer is a state of the art 32-bit digital DJ mixer, jam-packed with digital crossfader and MIDI, beat-synchronized sampler, and effects. 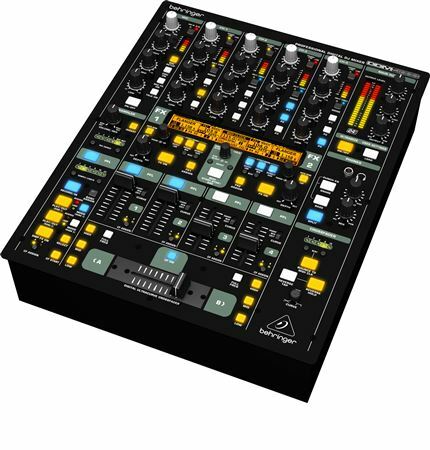 Editing, storing and recalling your settings is simply a breeze when using the Behringer DDM400 DJ Mixer! Hook up your turntables and CD/MP3 players to its 4 stereo channels, each with fully programmable EQ and Kill switches. Put ultimate versatility at your fingertips with fully programmable beat-sync-able multi-FX modules, a pair of high-precision BPM counters and a digital crossfader with custom curve adjustment. And the super-cool BPM-sync’d sampler with real-time pitch control, loop and reverse functions will make your crowd go wild. Get the Behringer DDM4000 DJ Mixer and become the star of the night! A lot of extras. Good faders and buttons. Well worth the money. Very easy to control effects are great. I was on the hunt for a mixer that I could connect just about anything to. I found just what I was looking for. 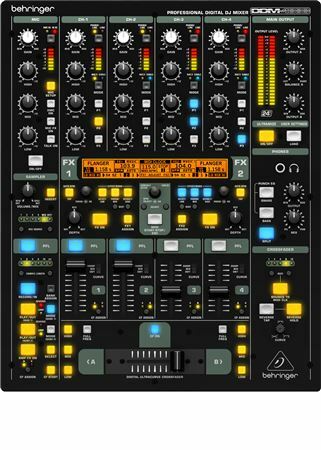 I get full use out of this mixer with so many connected sources to choose from. It's a great mixer and I'm glad I made the decision to purchase. This mixer does everything you would need for Djaying music. 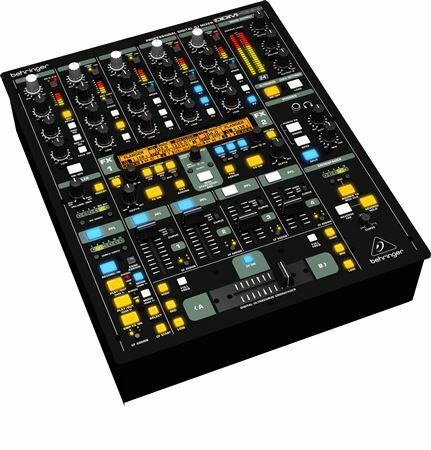 i love this mixer it gives you so much flexibility to do so many things using the midi system.